Last November, the FSB released a statement saying: “At the extreme, if an individual bank loses access to correspondent banking services, this may affect its viability and if a country’s banks more generally face restricted access then it may affect the functioning of the local banking system. In addition, loss of correspondent banking services can create financial exclusion, particularly where it affects flows such as remittances which are a key source of funds for people in many developing countries”. The report rightly observes that: “The ability to make and receive international payments via correspondent banking is vital for businesses and individuals, and for the G20’s goal of strong, sustainable, balanced growth”. In the statement, sent to the group of powerful nations – the G20, the FSB stated that a World Bank survey of jurisdictions and banks finds that roughly half of the emerging market and developing economies surveyed have experienced a decline in correspondent banking services. Three quarters of the 20 large correspondent banks participating in the survey responded that the number of correspondent accounts they hold for other banks had declined between end 2012 and mid-2015. The FSB report did not end there. Significantly, it stated that “the main drivers given by the large banks for their reduction in correspondent banking were concerns about money laundering and terrorism financing risks in the jurisdictions of their counterpart banks”. In other words, even though US Banks are aware that, in the case of the Caribbean, organizations such as the FATF and the OECD Global Forum on Tax Matters have found jurisdictions to be compliant with rules and enforcement, they are unwilling to take the risk. The FATF has given an undertaking to the FSB that it will “clarify regulatory expectations, as a matter of priority, including more guidance, on the application of standards for anti-money laundering and combating the financing of terrorism (AML/CFT) to correspondent banking, especially on the customer due diligence expectations for correspondent banks when faced with respondent banks in ‘high-risk scenarios’, as well as additional work on remittances, financial inclusion and non-profit organizations”. That work will be ready in two stages in June and October 2016. Whether it will make any difference to banks in the US is left to be seen. 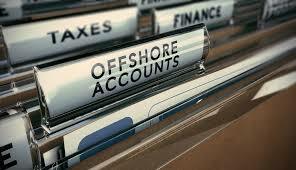 In any event, at the rate at which correspondent banking relations are being withdrawn, any FATF recommendations in October 2016, even if they are helpful, may come too late to help some Caribbean banks that are already reduced to tenuous relations with just one correspondent bank. In this scenario, it is imperative that Caribbean banks cease their reliance on US banks alone for their correspondent relations in the US. It is time that they jointly, in groups, or individually establish an agency of their own in the US to be their correspondent bank and handle their transactions in the US and beyond. They have to ensure that they will be able to do business if US banks abandon them. And, it must be the banks themselves – not Caribbean governments - that undertake the establishment of such an agency. Governments can advocate for the agency with us authorities and provide any non-financial assistance than may be helpful, including diplomatic and political spadework, but it must be the banks that look after their own business. Establishing a Caribbean-owned Agency in the US to provide correspondent relations for regional banks is not impossible, though it is difficult and will require investment in time, money and professional advice. An application for such an entity would have to be made concurrently to the Federal Reserve Bank and the Office of the Comptroller of the Currency (OCC). If the application is approved by these two bodies, a license to operate can then be sought from the Northeast District Licensing Division in New York. There are strict and onerous criteria that would have to be satisfied in each case, including extensive background checks on the banks and their affiliates and reviews of the effectiveness of the regulatory regimes of the jurisdictions in which they are located. The procedure could take longer than six months and would require the banks to dedicate staff or employ qualified consultants to see them through the process.